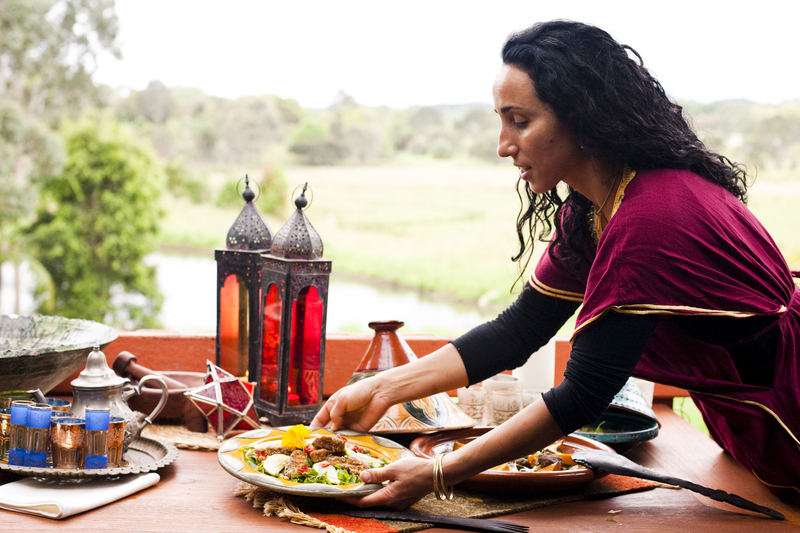 Together we will journey through the creation of an authentic Moroccan banquet, learning how to approach this wonderful cuisine with thousands of years of cultural tradition behind it. 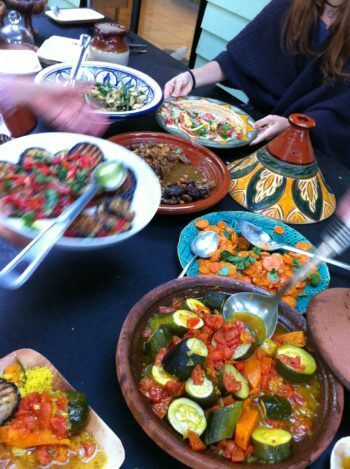 This Moroccan cooking class workshop will include dishes for daily use and special occasions. 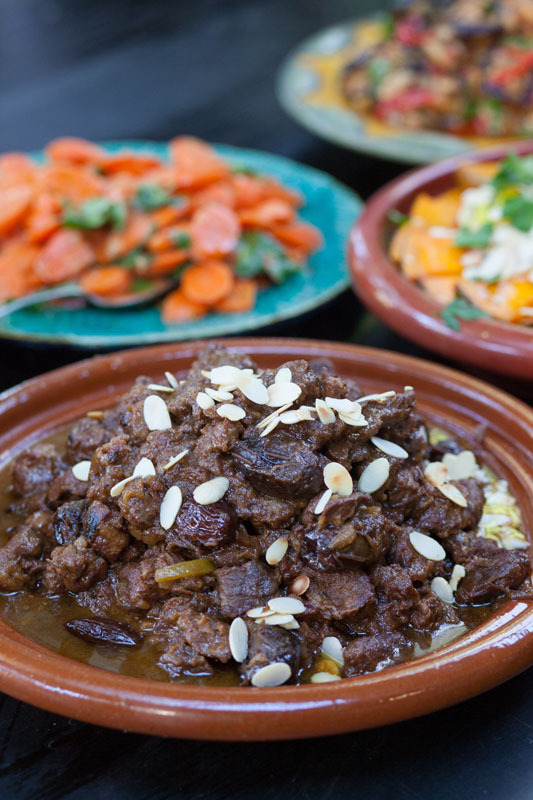 From the basics of spice combinations and selection to fundamental condiments essential for this type of cooking, to substantial key pieces for our table; we will create a selection of dishes such as Vegetable Couscous, Lamb Tagine and a variety of cold and warm salads. In the class we will also discuss condiments such as marinated olives, chutneys, preserved lemon and their complimentary dishes. The delectable sweet selection will include something like sweet briouates – filo cigars with almond paste and nut filling, showered with rosewater or orange blossom syrup. Our day together will be concluded with a feast from our glorious banquet table. Price includes GST, is non-refundable but is transferable (with 14 days notice of the original class). Gift Certificates: Let us know if you are buying the class as a gift for someone special so we can email you a printable PDF gift cert.